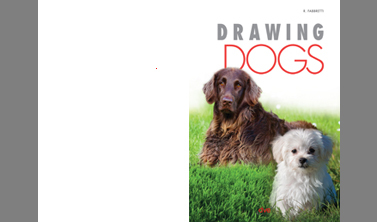 As opposed to the stories often heard, learning to draw on our own it’s not a difficult task. 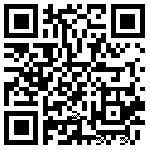 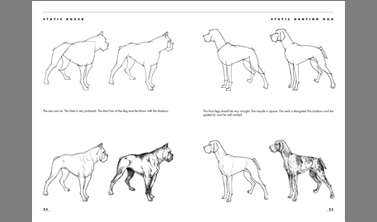 In order to achieve this, we just need to follow a logical and rational method. 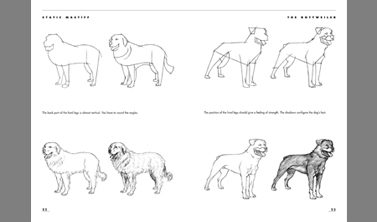 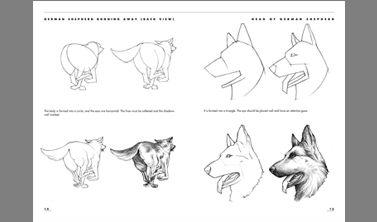 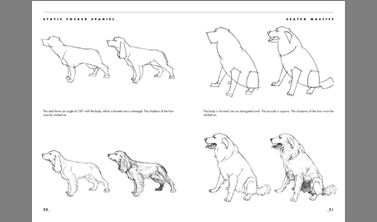 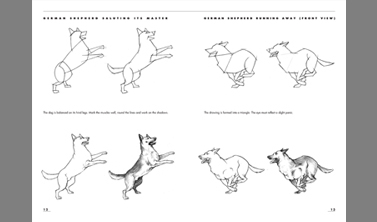 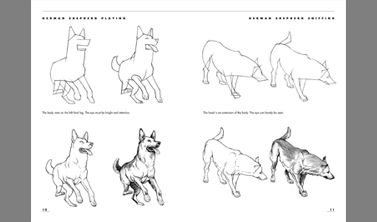 This book reveals how to draw dogs taking as a reference the skeleton of the animal. 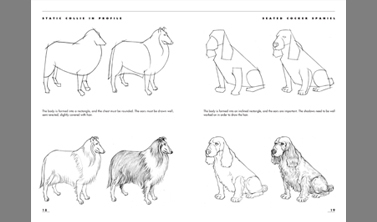 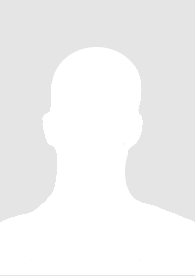 After this, the drawing will be made through its association with geometrical figures. 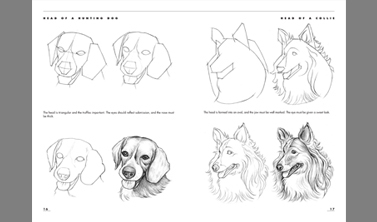 Everybody is capable of drawing a circle, a square or a triangle, but what people don’t know is that with a few additional touches your sketch can be transformed into an incredible animal!